When Tata Motors launched its first compact sedan with the Tata Indigo CS, we never realized that it could become one of the very successful, well- contested segments ever in the country. All the top brands are involved in the slug-fest: Maruti-Suzuki, Hyundai, Honda and Tata. Fogo Aspire has now made a surprise entry into this slug-fest. 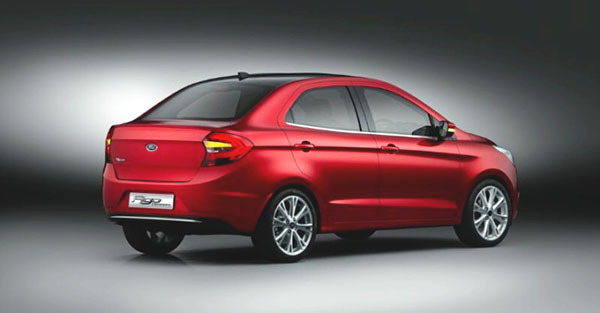 Ford’s upcoming launch for India, Ford Figo Aspire is betting big on it! Figo Aspire is expected to launch in next few months. 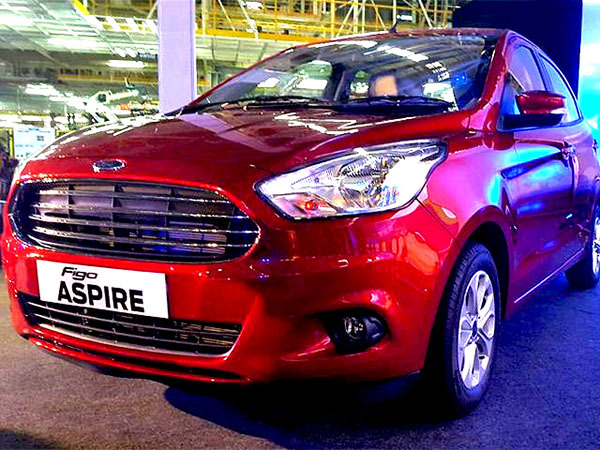 The Figo Aspire would be manufactured at Ford’s brand new production facility which is present in Sanand of Gujarat. The production facility is spread over a land of 460 acres. Ford has invested over USD $1 billion on this integrated facility which includes stamping, body, paint and various assembly operations for vehicle manufacturing as well as machining and assembly operations for engine manufacturing. Ford’s production unit is capable of producing around 240,000 vehicles and 270,000 engines yearly, the Sanand facility would make production constraints a thing of the past for the American brand. We can remember the Ford Ecosport, in early days, had a waiting period running into months owing to production constraints in Ford’s Chennai production facility. Ford Figo Aspire which sounds almost similar to the Maruti Swift Dzire is going to be the first product to come out of the Sanand plant. With today’s opening of our plant in Sanand, we have taken our growth commitment to a new high in India. We are doubling our manufacturing capacity in India, creating good jobs and serving our customers around the world with great products. Just like all other compact sedans out there in the market even the Ford Figo Aspire measures less than 4 meters in length in order to get the excise duty concessions from the Indian government. Figo Aspire showcases the brand’s very latest “Kinetic” design philosophy. Ford Figo Aspire has a beautiful Aston Martin lookalike grille and sweptback headlamps. Designers of Ford have done a fantastic job in integrating the boot. 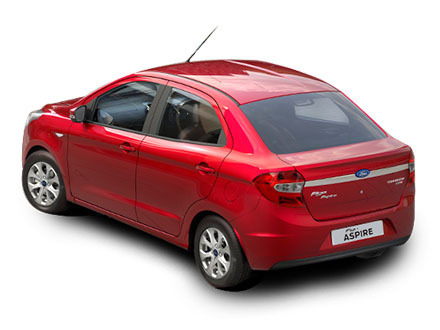 From our view point, Ford Figo Aspire is one of the best-looking compact sedans out there. A very large trapezoidal taillight clusters is a great highlight. Interiors of Figo Aspire have been borrowed heavily from the all new Fiesta and Ecosport. Ford’s website claims that the compact sedan would be pre-built with features like voice activated SYNC with Ford Applink and curtain airbags. When compared to Ford Ecosport, Figo Aspire is a great value for money. Engine of Aspire has 1.5-liter TDCi diesel engine that is present even in the Ford Ecosport and in new Ford Fiesta. Another variant of Ford Figo Aspire has 1.2-liter TiVCT petrol engine. So, if you are looking to buy a compact sedan or a premium hatchback, we would suggest you to hold on for a couple of months. With Aspire’s news, Ford appears to come up with a great offering which is worth the wait.